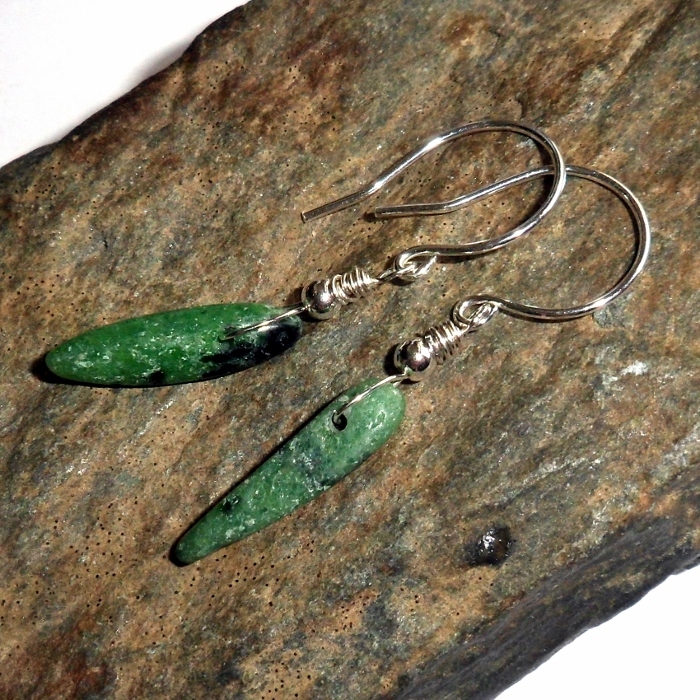 Ruby in zoisite gemstone wands set on handcrafted sterling silver earrings. 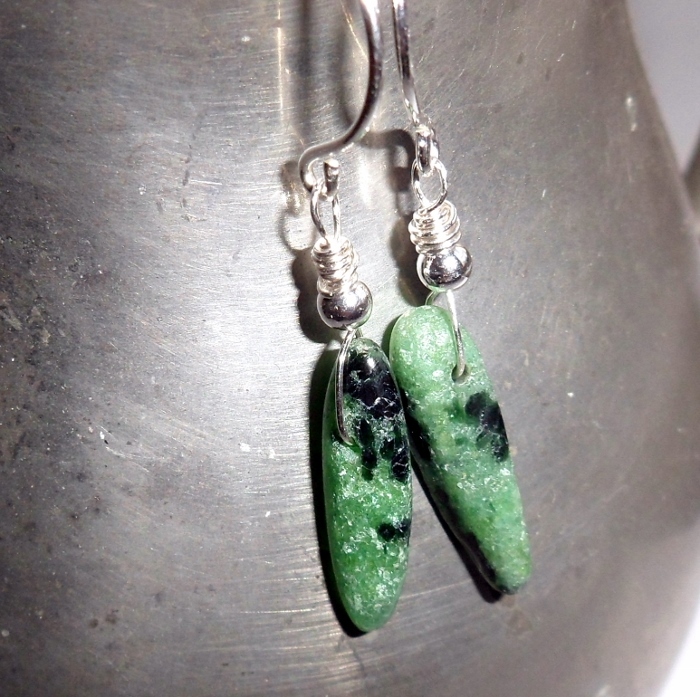 Ruby in Zoisite promotes individuality, spiritual awakening, and courage. Ruby in zoisite stimulates a combination of chakras, energizes the body, and increases intuition. 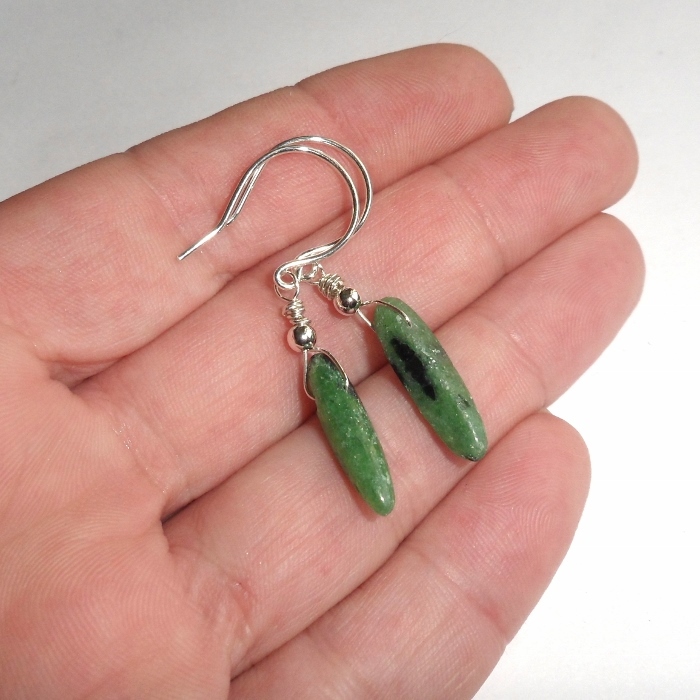 Zoisite is a powerful healer for depression and grief, and eases the transition of death for terminal disease. 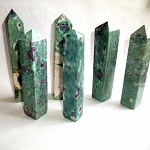 Ruby in zoisite stones are 19 mm long wand sticks with natural green and black color variation. Total earring drop length 1 1/2 inches.